 The Cost of Attendance is the sum of a student's direct costs and indirect costs while attending Buffalo State as an undergraduate or graduate student. The Financial Aid Office uses the cost of attendance in conjunction with the student's FAFSA to determine their financial need and eligibility for federal, state, and institutional aid. Review the eligibility page for more information about how the cost of attendance is used in the awarding process. Estimate the cost of attending one semester based on parameters you enter (e.g., living on-campus vs. off-campus; attending full-time vs. part-time). An Excel-based calculator that will estimate your out-of-pocket expenses each semester. If prompted, be sure to hit "Enable Editing" upon opening the Excel file. Step-by-step guide on how to calculate your out-of-pocket. Tuition - Tuition rates are set by the State University Board of Trustees. Tuition rates vary based on the student's level (undergraduate vs. graduate) and based on their New York Residency Status. Students should review the Student Accounts website for the current per credit and full-time tuition rates. Students that wish to appeal their residency status should refer to the In-State Residency pages. Fees - Fees are set by the State University Board of Trustees. Fees vary for undergraduate and graduate students. Students should review the Student Accounts website for the current per credit and full-time fee rates. Only in rare instances can mandatory fees be waived. Housing - Students that live in campus housing will be billed for housing. Housing rates vary depending on what facility the student lives in and if they are in a single or double room. Questions pertaining to housing should be directed to Residence Life. Meal Plans - Students that are required to have a meal plan or those that choose to have a meal plan will be billed. Indirect costs represent costs the student may incur while attending college, but costs not billed by the college. Indirect costs are included in the overall cost of attendance because it allows students to receive additional financial aid to help with these indirect costs. However, this does not guarantee that the student will receive enough aid to cover all direct and indirect costs of attending Buffalo State. Housing Allowance - Students that live in their own off-campus apartments or homes will incur housing costs while attending school. Although these costs will not appear on the student's semester bill, an allowance is included in the student's cost of attendance so that the student could receive financial aid to help them with their living costs. Meal Allowance - Similar to housing, students will need to purchase food if they are not using the college's meal plan. Therefore, a meal allowance is included in the cost of attendance for student's not using the college's meal plan. Books and Supplies - Books and supplies are not included in the student's semester bill. The cost of attendance includes an allowance for books and financial aid can be used to purchase books through a textbook deferment, if the student qualifies. If a student does not qualify for a book deferment, they will need to make separate arrangements to purchase their textbooks. Personal Expenses - Personal expenses account for items like personal hygiene products the student will need to purchase while enrolled. Transportation - Transportation represents the costs of commuting to and from campus each semester. Including this component in the cost of attendance for all students allows students to receive financial aid to help with their commuting costs.